The Omega™ Tac Vest SR has prvisions for (28) shotgun shells. (14 in each pouch) and (6) M-16, (3) M-14, or (3) AK-47 mags on the opposite side. The mag pouch lids are fully adjustable for radios, extended mags, etc. 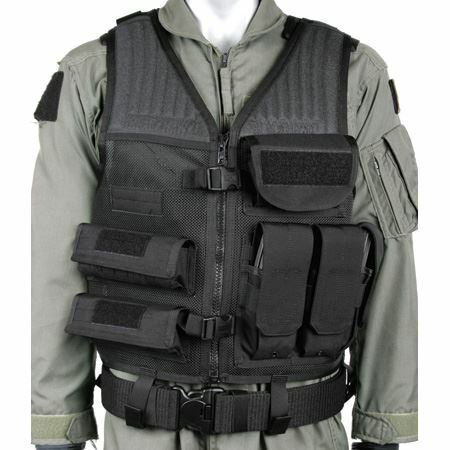 The vest also features BlackHawk®’s Sniper Shoulder pad, and inside zipper map pockets.